UK: A subsidiary of marine contractors Royal Boskalis Westminster has been selected to supply and install inter-array cables at the 860MW Triton Knoll wind farm. 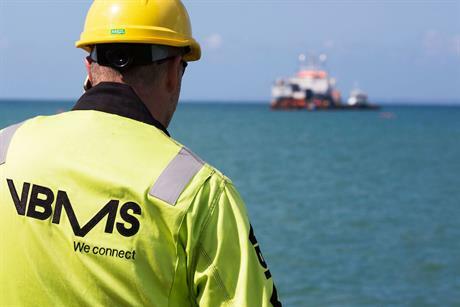 VBMS signed a preferred supplier agreement with Innogy and Statkraft, which own the site 32 kilometres off the east of England. The contract is subjected to financial close, which is expected to take place in Q2 2018, and is likely to be worth approximately €80 million, VBMS said. If the contract goes ahead as expected, VBMS will supply and install the cables in consortium with Danish firm NKT Cables in 2020. At the start of September, Innogy won government support to build the Triton Knoll project in the UK contracts for difference auction (CfD). Innogy will build the 90-turbine site at £74.75/MWh (€86/MWh), with its earlier delivery date of 2021/22. Earlier this month, Innogy announced it would use MHI Vestas’ V164-9.5MW turbine at the site.